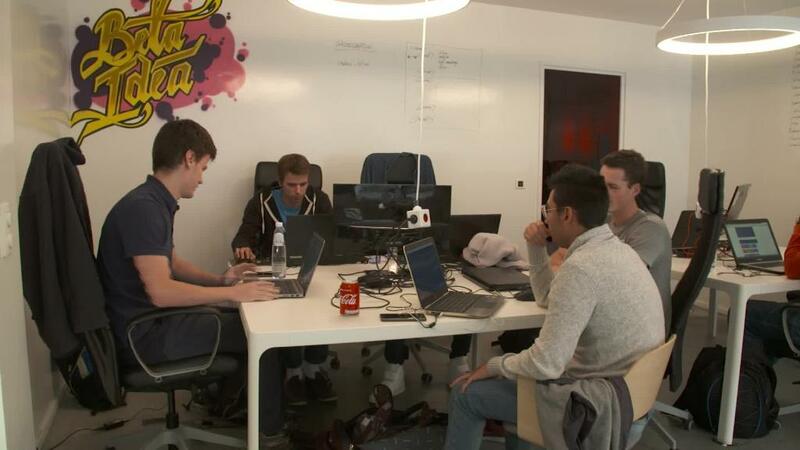 Can a coding school stop people from joining ISIS? Entrepreneur Ibrahim Ouassari was in disbelief when he recognized the faces of some of the assailants from the Paris terror attacks in November 2015. The manhunt led investigators to the Brussels suburb of Molenbeek, where three of the Paris attackers lived. News outlets called the neighborhood "Jihadi Central." It was also Ouassari's hometown. "I just wanted to call the media and say, 'This is the wrong photo,'" said Ouassari, the 39-year-old son of Moroccan immigrants. "I never would have thought these guys from my part of town could do something like that. I started to do some reflection." After the attacks, he sought a way to cut down on the stigma surrounding the community. He opened a coding school and tech incubator called MolenGeek. It has since attracted funding from companies like Google and Samsung. Classes are free. The city, known for its reputation of organized crime, hasn't made it easy for young people with good ideas to pursue careers. Ouassari's goal was to offer an alternative for those who wanted to get ahead. The classes aren't taught like a typical school. Sessions on coding, website development and engineering are conducted in small groups or one-on-one trainings. About 600 students, varying in age, have enrolled since it launched. Although the school doesn't charge students to attend, they're asked to pay with time. This includes helping to keep the school clean and coming back to speak to classes. "The criteria is motivation," Oussari says. "We don't need people with a lot of skills. We need people who want to share and be a real part of this community, who want to change something in their life." 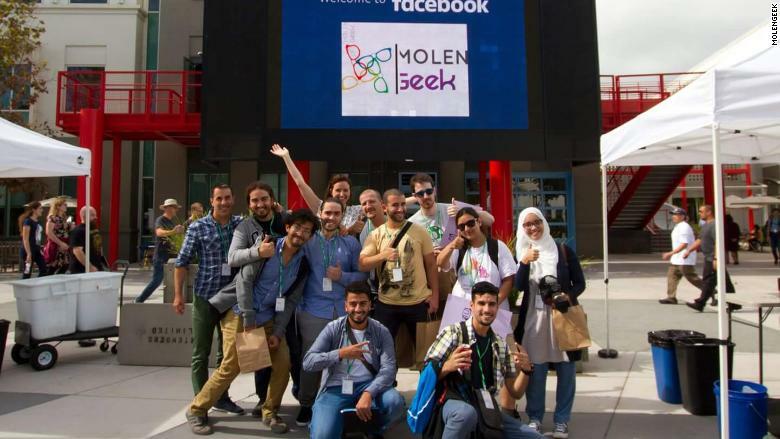 MolenGeek caught the attention of Belgium's Vice Prime Minister Alexander de Croo, who oversees the country's counter terrorism program. He started supporting the school with funds. "One of the measures is to see just how many people are part of the community, [and] month after month more people are coming there," De Croo told CNN Tech. "There are projects are moving out from the school and trying to become businesses." For example, an app developed at MolenGeek called QuickLyric, which serves up song lyrics, has already become a hit in Belgium. It's been downloaded a half a million times across all mobile platforms, according to MolenGeek. 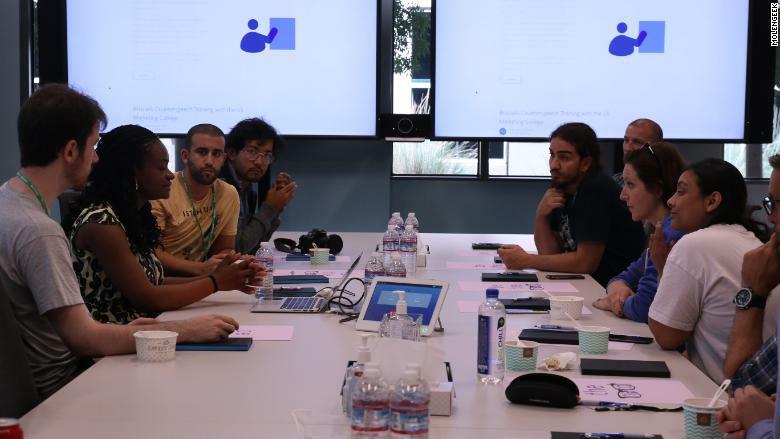 Although tech companies have poured money into the center, some said the interest stems from not what comes out the program but the mission itself. "They've developed a drone, which is a great achievement, but we're not in here for the products," said Lukas Schmeink, a vice president at Samsung. "But we're not here for the products. We're here for the social benefit and economical benefit; otherwise, it becomes blurry what you came to do here." Ouassari recently returned from the U.S. where he spoke at the U.N. about best practices for public-private partnerships. But his biggest problem is now an obstacle any successful startup faces: scaling up. He wants to open centers in more countries. "It's so difficult to have to turn away so many applicants all the time," he said.